It’s no secret that crowds flock to Madrid in the warmer weather but what about visiting Madrid in winter? Spain can be a brilliant location for a winter city break as often the climate is mild in the Winters and you can top up on a bit of Vitamin D whilst still getting out to explore the city. 1.2 Why should we visit Madrid? 1.3 Is there any part of Madrid we should base ourselves? 1.4 What do you love most about winter in Madrid? 1.5 What is the weather like in Madrid in Winter? Do we need our thermals?! 1.6 Can you suggest some things to do in Madrid in winter? 1.7 Any Suggestions for things to do in Madrid in the rain? 1.8 Any cosy cafes or restaurants where your recommend getting warm in Madrid in winter? 1.9 Can you recommend things to do in Madrid at Christmas Time? 1.10 Is there anywhere you recommend spending New Years Eve in Madrid? 1.11 Any other Exciting events or festivals in Madrid in the winter? 1.12 Any Interesting Facts about Madrid you can share with us? Anything else we should know? 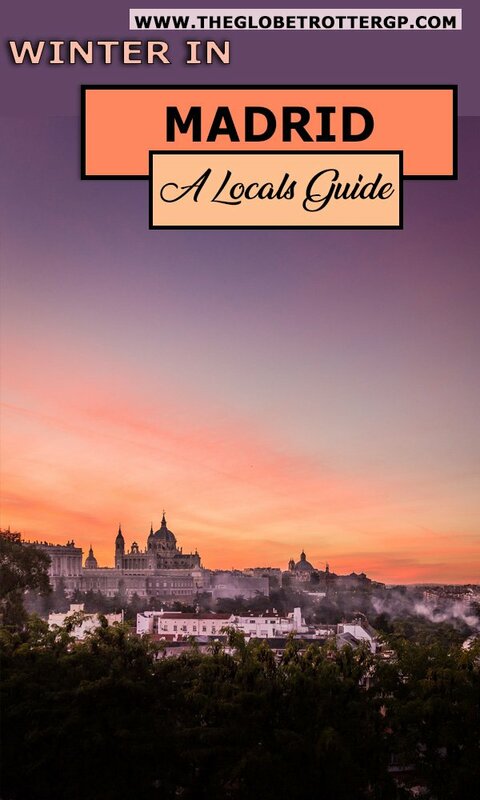 I’m excited to hand you over to Sam now to tell you all of her insider’s tips about winter in Madrid to make sure you have the most amazing city break! Sam writes about sustainable and vegan travel on a budget. She travels with her partner and is currently exploring the USA but prior to that, they lived in Madrid for several years. On their blog, you will find lots of content about Spain, Europe and the USA. Make sure you check out their website! Why should we visit Madrid? Madrid is a beautiful city with a lot to offer in terms of culture, food, history, and fun, affordable things to do. It often gets overshadowed by Barcelona, but we love Madrid because it is less touristy, less expensive, and more enjoyable! Is there any part of Madrid we should base ourselves? The city centr is fairly small and walkable, so where you stay matters less in Madrid than in more spread out cities. You can easily walk most places or hop on the convenient and cheap metro system. Las Letras, the literary district, is a great centrally located place to stay. 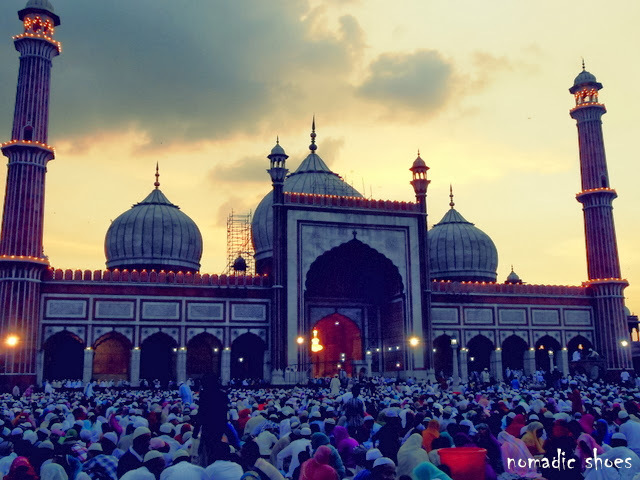 It is near the city’s main museums, parks, nightlife, and there are many hotels and hostels to choose from in the area. We do not recommend Airbnb for travellers in Madrid as it is pushing out residents and driving up rents in the historic center. This has also led to many illegal Airbnbs with substandard conditions, so you’re better off booking other forms of accommodation anyway. What do you love most about winter in Madrid? We love winter in Madrid because while it does get chilly, the sun still shines! It snows extremely rarely in Madrid (flurries once a year are cause for great excitement), and though it does rain more in the winter, it’s not debilitating like winters in other places can be. You can still do so much in winter in Madrid. You won’t be cooped up like in other cities! What is the weather like in Madrid in Winter? Do we need our thermals?! As mentioned above, the winter in Madrid is pretty mild. However, you’ll still need some layers and common winter items like a hat, scarf, and gloves. It does get cold, especially once the sun goes down. During the day, if you want to still sit out on a terrace, you’ll want to layer up. Spaniards eat outside throughout the year and you won’t want to miss out on this tradition. Finally, while it likely won’t rain every day, be prepared for rain as well with an umbrella and waterproof boots. We actually have an entire article dedicated to what to wear in Spain in winter. Can you suggest some things to do in Madrid in winter? 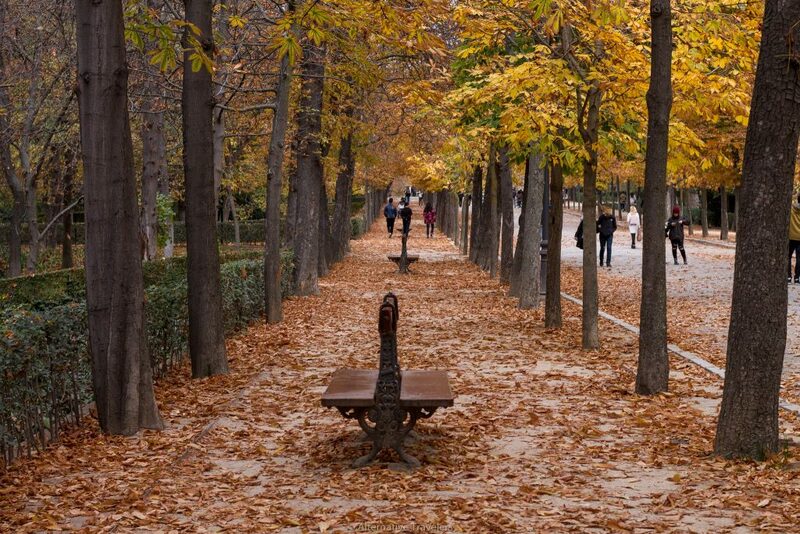 You can explore Madrid as you would in other seasons, though with a few more layers and plans for rainy days. On sunny days, you can still walk around the city streets and explore the many unique neighborhoods, plazas, and parks. 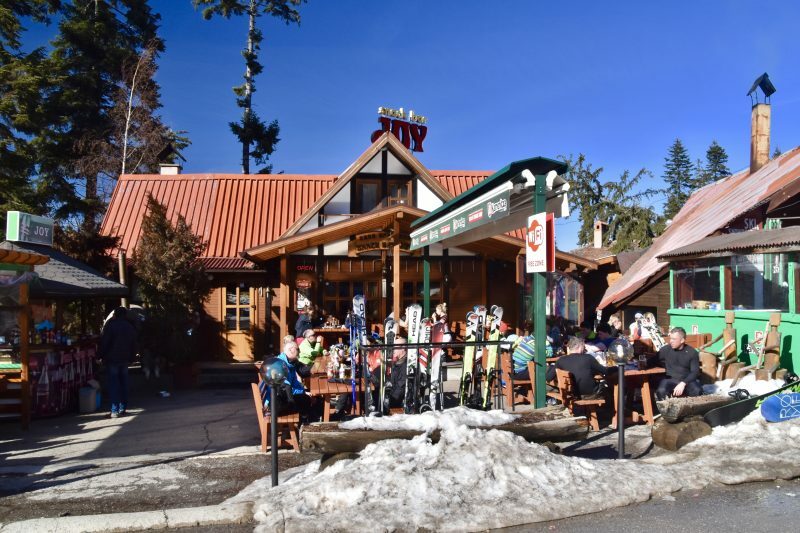 Grab a coffee on an outdoor terrace and soak up the sun that you would not get in winter in other places. 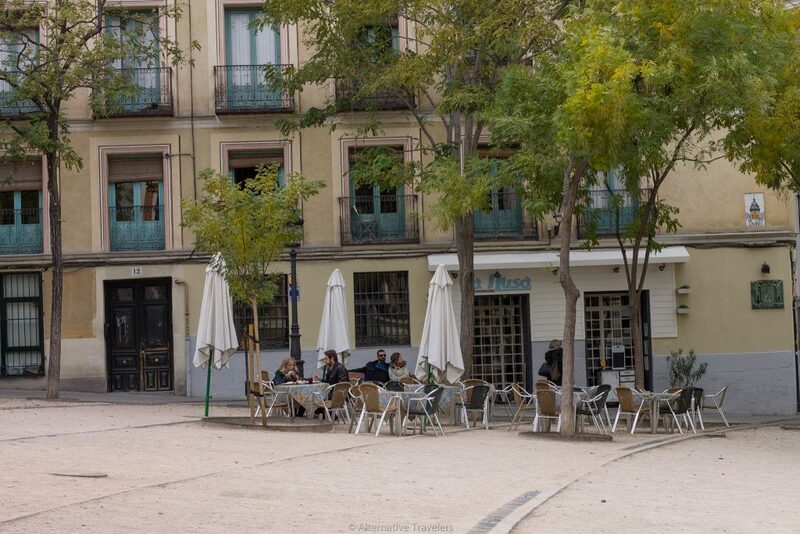 Madrid also has a bar on nearly every corner, so if you need something stronger to warm up, you won’t have to look far! Any Suggestions for things to do in Madrid in the rain? On bad days, there are many indoor places to hole up, such as local neighborhood markets with tapas stalls and other shops, as well as many fantastic museums. 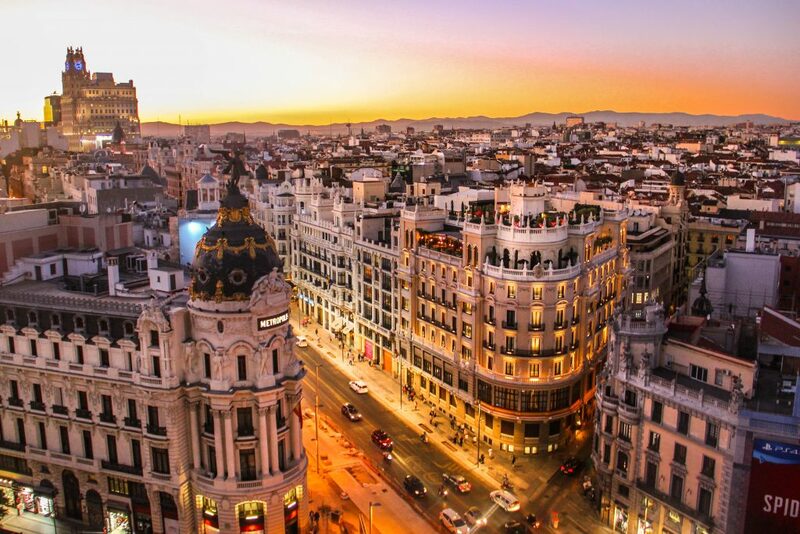 Madrid is known for its “Golden Triangle” of art museums, the Reina Sofia, The Prado, and The Thyssen-Bornemisza Museum. 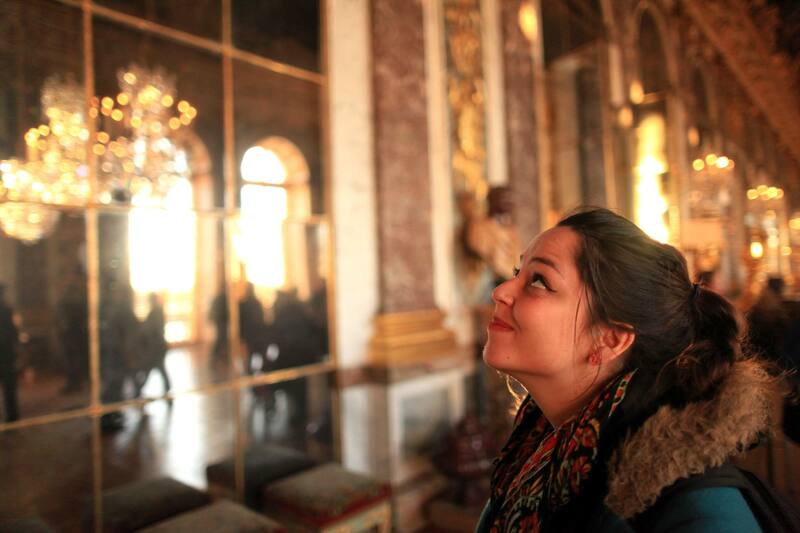 Besides these museums, you can visit the royal palace, the city history museum, and tons of other smaller, quirky museums with minimal or free entry. Any cosy cafes or restaurants where your recommend getting warm in Madrid in winter? We love cafes and Madrid has been getting more and more of them over the years. One of our favourites is Chilling Cafe, a cozy vegan cafe with fantastic coffee and tea drinks as well as lunches with Asian inspired food, created by the hip Taiwanese owners. Cafe de la Luz is also a favourite. Its variety of couches, eclectic decor, and it’s large selection of various hot drinks makes it the perfect place to spend a rainy afternoon or evening. They often give out little bowls of popcorn with your order! Can you recommend things to do in Madrid at Christmas Time? 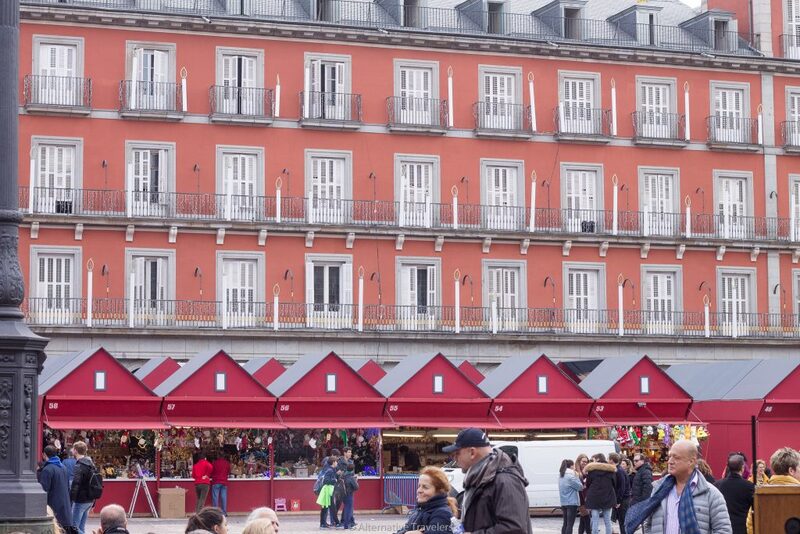 There are many Christmas markets that spring up around the city in Madrid in the months and weeks before Christmas. You can find everything from traditional sweets and figurines to funny hats and colorful wigs. A must-do in Madrid during the holiday season is visiting a “Belen”, or miniature Bethlehem. These tiny, elaborate villages are representations of Bethlehem on the night of Jesus’s birth. The Spanish take great pride in these villages and the figurines can be up to hundreds of years old. Is there anywhere you recommend spending New Years Eve in Madrid? Just like New York has the ball drop in Times Square, Madrid has eating grapes in the Puerta del Sol, the city’s main square. If you plan to go, make sure to take 12 grapes to eat with you as the clock strikes down the last seconds of the year. Be careful not to choke! Any other Exciting events or festivals in Madrid in the winter? While the majority of Madrid’s festivals happen in the spring or summer, there are still a few in winter in Madrid. The major events during the winter are Christmas and New Year. In Spain, the big day is January 6, Three King’s Day, on which there’s a massive parade going through central Madrid. Before Christmas, you’ll likely wonder why people are standing in lines outside of lottery shops around the city. They’re buying tickets for the biggest national lottery of the year. Shops that have sold previous winning tickets are said to be lucky, and thus have longer lines. 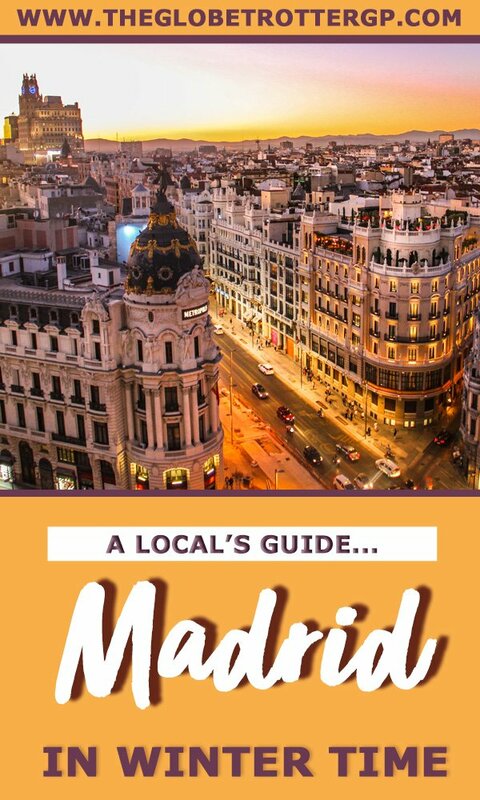 Any Interesting Facts about Madrid you can share with us? Anything else we should know? 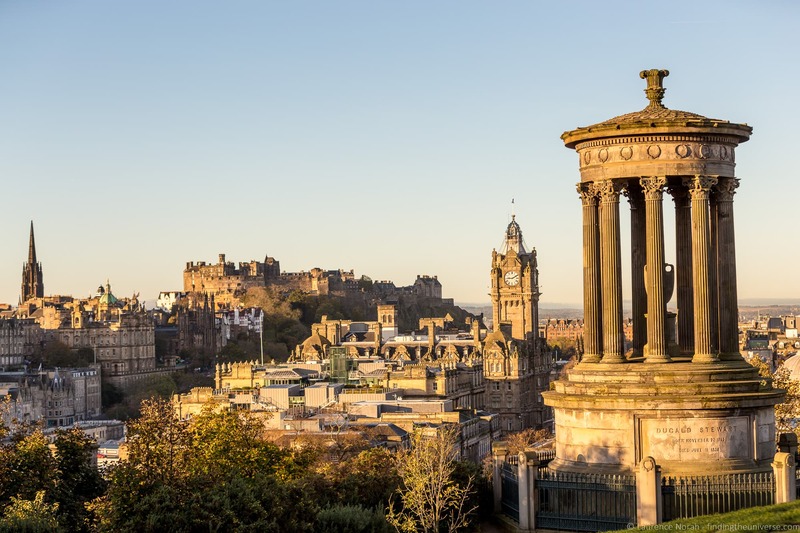 Look out for the city’s coat of arms – a bear and a strawberry tree – throughout the city! Note that over the Christmas season, many small shops and businesses will be closed. If you plan to visit Madrid anytime between December 24-January 7th, this may affect your plans. 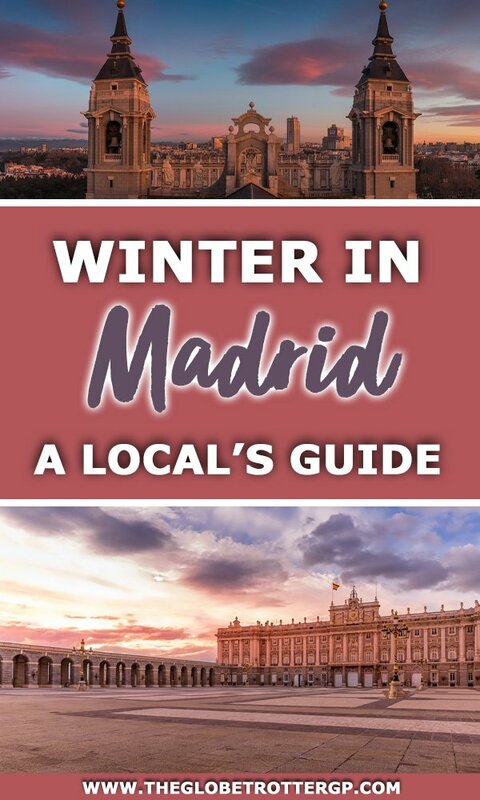 With many thanks to Sam for this really informative guest post about winter in Madrid. 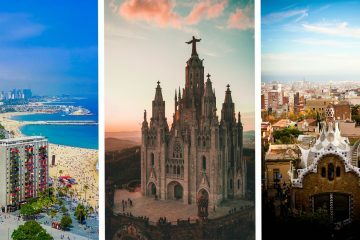 I’ve personally only visited Madrid in the summertime but absolutely loved the city so this article has got me thinking about going back in winter – who knows, maybe I’ll get lucky on the Madrid winter lottery?! 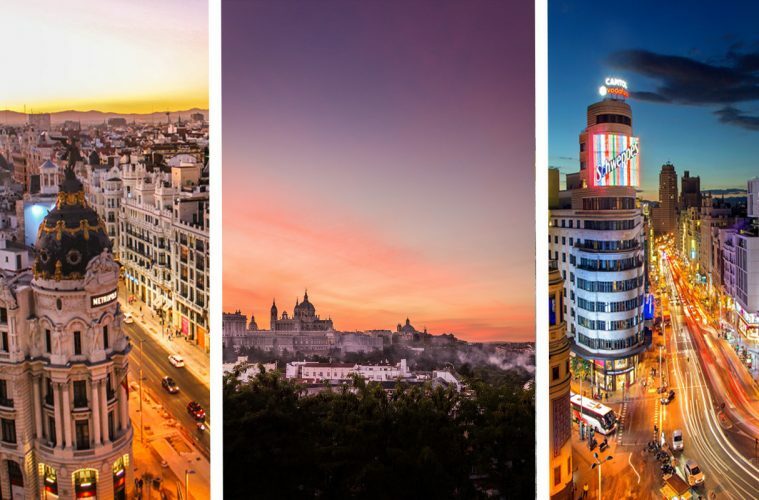 Would you visit Madrid? I’d love to hear about your thoughts and experiences in the comments below. And if you enjoyed this post, it would be fabulous if you could share it with your friends and family! Want to read more? There are plenty more Interviews with Locals here.